Sports brand Nike Lab has opened two new stores in Tokyo and Chicago, with both featuring immersive elements. The Tokyo store opened on 1 December, and has a thematic focus on technology and nature. It aims to engage guests' senses by using interior and exterior directional sound systems, as well as a scent exclusive to the store itself. Soft track flooring material is also a feature, and is made using Nike Grind - a palette of premium recycled and regenerated materials. Nike designers worked with Arthur Huang, founder of design firm Miniwiz, to incorporate elements of Japanese culture into the store design. These elements include tatami mat floors paired with locally sourced wood walls in the digitally-powered fitting rooms. The Chicago store opened on 2 December and features a design inspired by the new Nike ACG outerwear collection. The design aims to showcase sport style in the 'Windy City'. Guests are greeted by hanging display racks which represent the strap systems of the NikeLab ACG Alpine Jacket, System Blazer and Funnel Hoody. 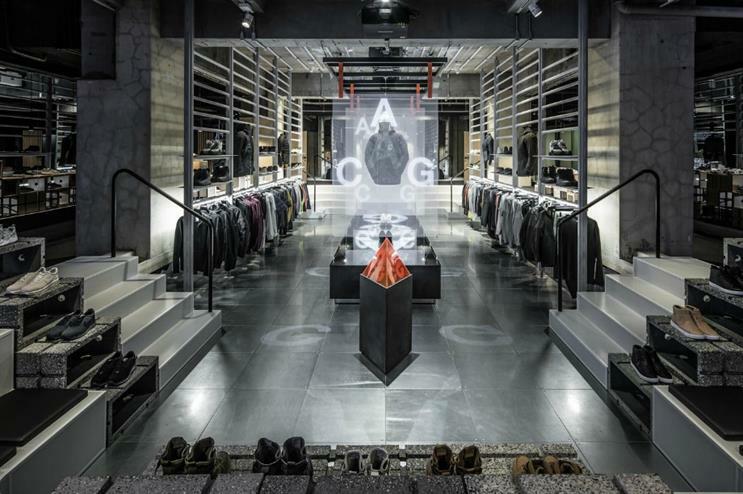 The stores are the seventh and eighth Nike Lab stores to open globally. Last month, Nike staged an activation at the inaugural ComplexCon. Over summer, the sports brand launched a three-day series of workout sessions in East London.